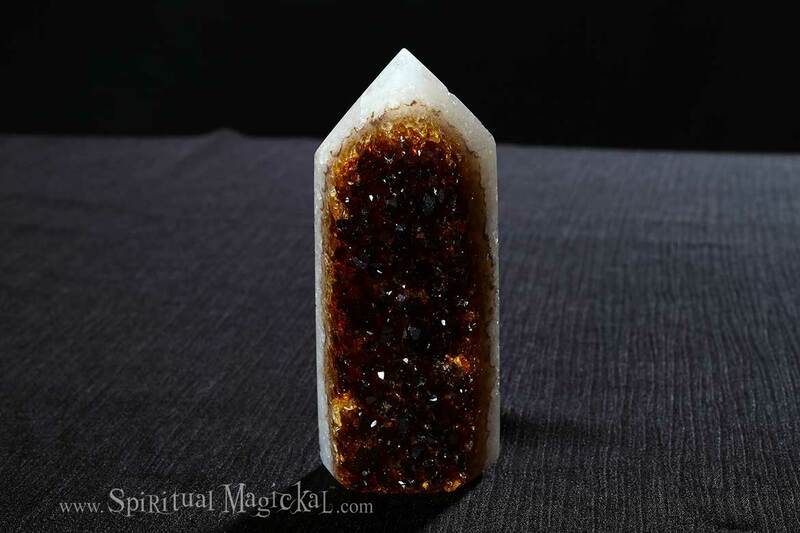 Citrine Crystal Druze Cluster Tower, Brazil. This particular crystal stands 5 inches tall (12.7cm) and weighs 14.5 ounces (410 grams). 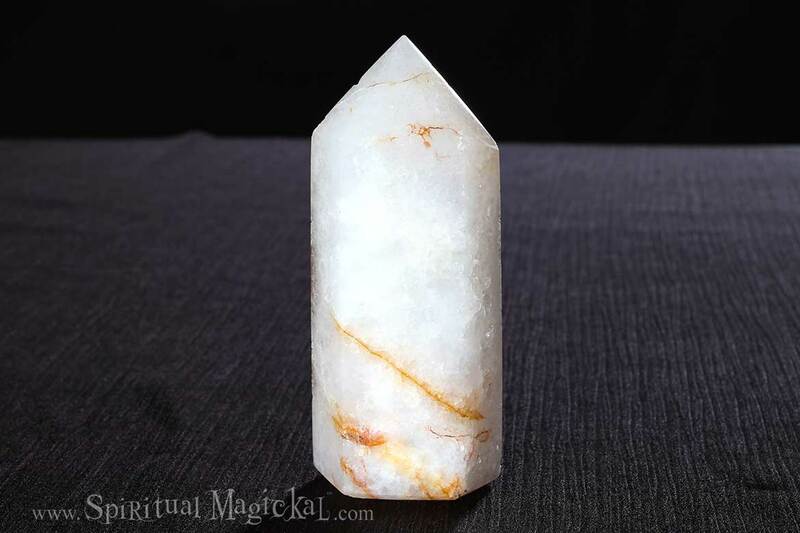 Citrine stimulates creativity, abundance, personal will, and mental clarity. Citrine is a silicon dioxide mineral and a member of the Quartz family. Citrine also helps with personal will, mental clarity, creativity, energetically supports digestion, metabolism, weight loss, stimulates optimism, playfulness, decisiveness in difficult situations. 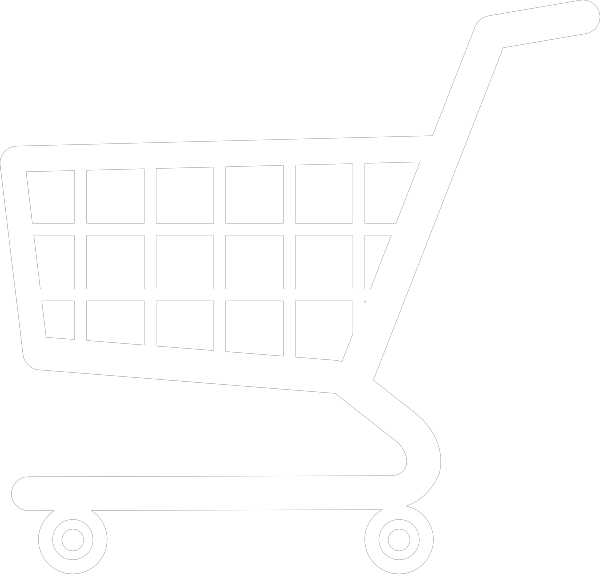 Enhances creative imagination, manifestation through the will. Citrine is a sun stone and also represents the element of Fire. 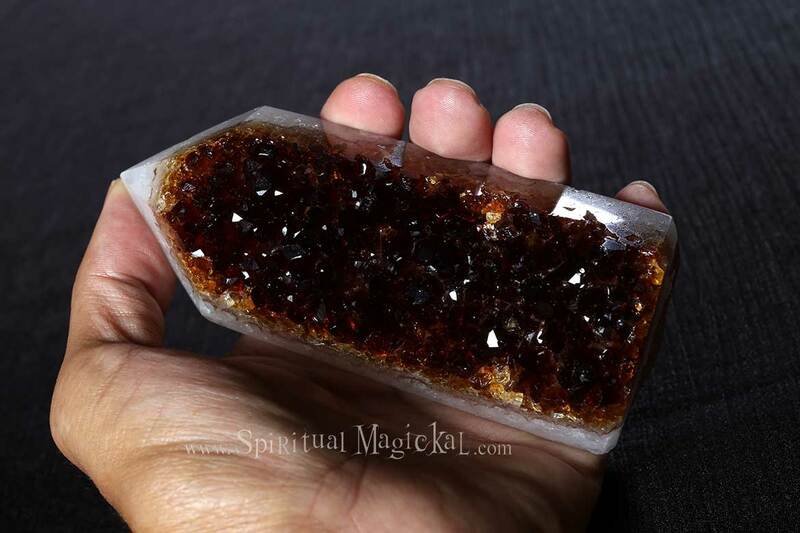 This is a perfect size crystal for holding in your and meditating, or for putting on a desk, nightstand, or alter, and small enough to carry with you, or in your purse or backpack.